ArtNr. : 32220305841. Kategorie: Flöte. 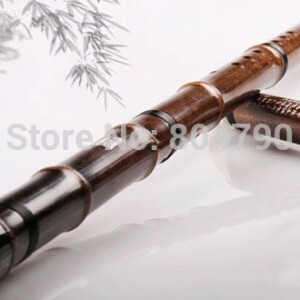 Schlüsselwort: chinese flute. [Process]: Ensure the timbre and intonation, sigle spigot cupronickel, flute’s body tied black nylon line(crack control and beautiful), two side insert OX horns,computer lettering. 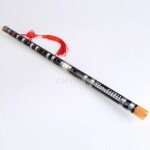 [Characteristics]: 2 sections of the flute with white copper joints, easy for carrying. You should link them together fisrt before playing. 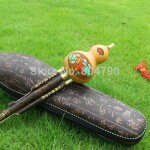 [Advantage]: easy to blow and control, the sound is accurate,pure, nice and broad. [Key]: A key 8 holes,F key 8 holes, G key 8 holes ,A key 6 holes, F key 6 holes, G key 6 holes(6 holes xiao need customized, Custom time need about 5-7 days) . ———- G key 8 holes is the default key,please leave us notes what key you want,it’s very important!!! Thanks!! one flute, one flute pouch, one carry bag, and a chinese luck knot. [Note]: item will be send out as registe mail with tracking number . 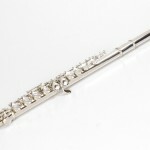 we also have flute box , please view our store to have a look if you want a box to match your flute. if you need more, please contact us and we wil give you wholesale price.